I’m pleased today to publish my interview with Christina Thompson, a professional trombonist, music teacher and fellow creative agent provocateur, in conjunction with the release of her book, “Women Embracing Creativity.” I’ve interviewed Christina before and always find her thoughts on the creative process to be intriguing and encouraging. Christina’s book focuses on ways women can make time to create and overcome some of the common stumbling blocks that stand in the way of putting one’s inspirations into action. 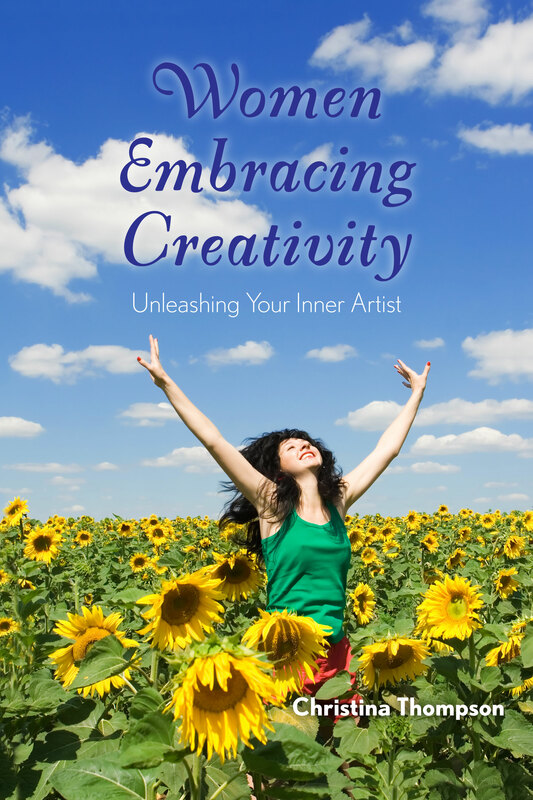 How did you come to develop the book and the course “Women Embracing Creativity”? I stumbled upon the ideas presented in Women Embracing Creativity many years ago, as a freshman in high school. I had always been a creative person, but on my first day of high school, I learned that creative people weren’t exactly welcome there; in fact, they were called the “freak squad!” Not wanting to be a “freak,” I tried to focus on football and dances and other supposedly important things. Well, after just one semester of this, I felt bored and lifeless. I wondered what happened to make life so dull, and realized that it was creativity that was missing. After months of neglect, my creativity was going into hiding! So, I decided to do something about it. At school there were so many rules, both spoken and unspoken, that made life feel routine and stifling. So I found a notebook, and made it my place where I could be myself with no rules; I wrote every day, and this became the Journal Habit. I bought paint and pencils, and began making art with reckless abandon, just for fun. This became Creative Time. It didn’t take long before these habits started nourishing my creativity, making even a moody teenager feel like a kid again. I’ve continued these habits ever since, and they’ve helped me build a satisfying musical career. And then, years later, a new need for these habits arose. It seemed like everywhere I went, strong and capable women were telling me things like, “I’d love to play music, but I’m tone deaf,” or “I wish I could be creative, but I have no talent.” It was awful to see these otherwise powerful women dismissing their desires and abilities, and I knew I needed to help. So, I started writing down the things that had worked for me–the habits, the experiences, the tips and tricks that have kept my imagination strong–and Women Embracing Creativity was born! In your work, what challenges related to creative expression do you see that are specific to women? Why do you think they face those particular obstacles? Every woman has her own unique creative struggles, but I’ve noticed two obstacles that tend to trip up many women: people-pleasing and perfectionism. As girls, many of us were taught to be “nice,” and idea which in and of itself isn’t so bad. But over the years, that “niceness” mutates into a double-standard: we learn to be kind, accommodating, and nurturing to others, while denying our own thoughts and desires. Creative expression requires just the opposite–lots of self-nurturing and a willingness to speak our minds. Perfectionism rears its head in a number of ways: it keeps some women from writing the first word in their journals, strikes others when they receive criticism, causes some to ruin their work with excessive revisions, and sparks jealousy and fear even in successful creators. I’ve found that perfectionism hits women especially hard, because we’re already pounded with images of “perfect” women outside our creative endeavors. Many women feel pressure to be superwoman–to effortlessly balance work, family, and friends, and look great doing it–and they bring that perfectionist mindset into their creative work. A great deal of the book is devoted to knocking out perfectionism in its many disguises. In your book, you refer to the concept of “artists-in-hiding.” Could you explain it a little for us? Why do so many people feel so fearful about making art or being creative? Artists-in-Hiding are otherwise strong and capable people who neglect or hide their true creative abilities. They’re the folks who say, “I have no talent,” or “I can’t sing/draw/write,” and trash their creativity instead of taking it out for a spin. They’re the kids who try to hide their creative urges because of peer pressure, or the adults who’ve simply forgotten how to have fun. However we become Artists-in-Hiding, we all have something in common: a buried treasure of creative ideas. Many people feel fearful of being creative simply because it’s an activity they abandoned long ago, and unearthing their creativity brings the possibility of change. Some people fear creating because of negative childhood experiences–when you’re carrying around the pain of being made fun of by a rotten art teacher in first grade, creating is tough! Still others are worried their friends and loved ones will think they’re weird for trying creative things. One of the first things you have readers do in the book, regardless of their creative discipline, is get into a habit of journaling daily. Why is this important, especially if the person is interested in art forms unrelated to words? Getting into a Journal Habit isn’t so much about writing; it’s about having a space where you can express yourself with no worries. In my classes, I’ve noticed that many women habitually deny themselves the right to say what they need to say. Something will be weighing on a woman’s mind to the point that she can’t focus in class, but she’ll brush it off with, “Oh, it’s not important; I’m just overreacting.” The journal is a place where your thoughts are important, where you can truly speak your mind. If you can learn to speak your mind in your journal, it becomes easier to express yourself through your creations. You devote entire chapters in your book to discussing the concepts of abundance and possibility. Why are these so vital to living a creative life? So many people approach creative endeavors with a negative, scarcity-based mindset. A lot of people think that creativity is directly tied to “talent”, and that there’s not enough of that to go around. Others put their creative desires on hold because they fear there’s not enough time or money to pursue them. But the only way I’ve found to succeed as a creative person is to believe that I have plenty of natural ability, that there’s plenty of time and money, and that all will be well. When we think creative success isn’t possible for us, we derail our projects before we even sit down to work. Criticism—internal and external—is something you devote much time to addressing in the book. What is the proper role of feedback in learning to be creative? For people studying a specific artistic discipline, criticism is valuable and necessary. But for people learning to use their creativity, criticism is deadly. 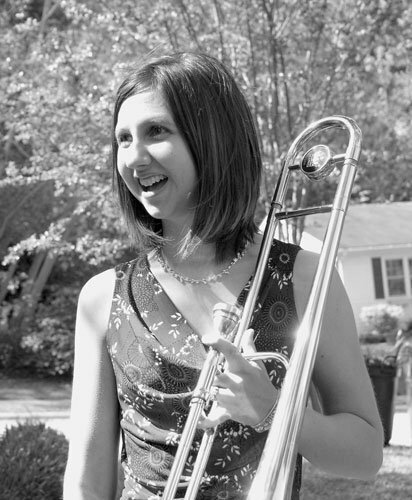 As a growing trombonist, feedback from teachers and judges helped me hone my abilities and become a more skilled player. If I hadn’t had that feedback, I wouldn’t have been able to grow. However, if someone had critiqued my early efforts to reclaim my creativity as a freshman in high school, I would have become embarrassed, discouraged, and unlikely to keep creating. Fledgling creators need to treat their first steps on the creative path like the first steps of a baby–no criticism, just encouragement, encouragement, encouragement. How difficult can it be for aspiring creative folk, women in particular, to develop healthy habits that enable creative expression? Does understanding how the creative process help this development? In my course, I’ve seen some women have great difficulty developing healthy creative habits, while others are able to integrate these practices into their lives easily. The people who seem to have the most difficulty practicing the habits are those whose creative blocks involve people-pleasing. Developing these habits requires time and attention, and often, women feel guilty for taking time for themselves instead of spending it all taking care of others. Understanding the creative process doesn’t seem to make a direct improvement in people’s habits, but it can go a long way toward helping them understand why the habits are there, and how good habits contribute to the various stages of a creative project. Tell us a little bit about your affiliate program associated with the book. I’m setting up a Guides program where interested people can come to Raleigh and learn to teach the course, infuse the material with their own experiences, and discuss how best to work with people who are new to the creative path. After completing the program, guides have rights to the Women Embracing Creativity name and course, get a deep discount on materials, and more. It’s my dream to grow from this one little course here in Raleigh into a huge community of wise and creative women! Is there anything else you’d like to discuss that we haven’t talked about yet? We’ve covered quite a bit! Thank you, Liz, for interviewing me. I’m honored to be featured on Creative Liberty! To learn more about Christina’s work, you can also visit her Summerglen Music site. Images provided courtesy of Christina Thompson. Liz, Another wonderful & insightful interview. I look forward to reading Christina’s book! What a treat.